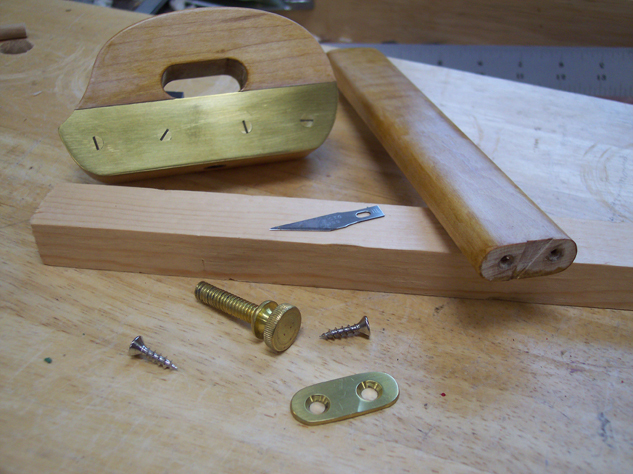 Cut the hole in the body blank that will hold the beam, drill a hole in the bottom of the body and install the threaded insert, screw and glue the brass plate into a shallow rabbet in the body, sand the face flush, and cut the outer shape of the assembled body/brass plate to fit your hand. 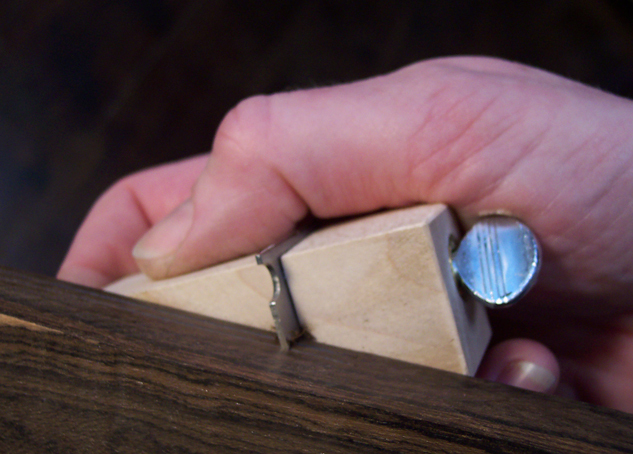 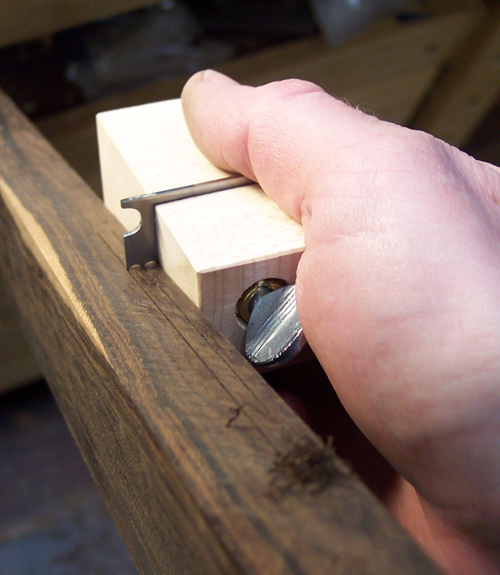 Round over the edges of the beam and tweak it until it slides through the body with little resistance. 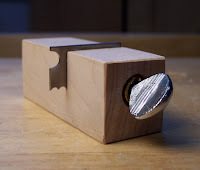 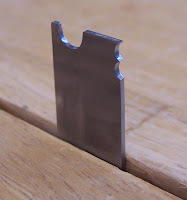 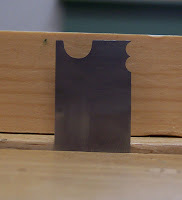 Drill holes through the little brass plate and the end of the beam and cut a shallow mortise into the end of the beam so it matches the profile of the exacto blade. Screw on the little brass plate and file flush to match the end of the beam.